It’s time to heal so that all may heal. One person on a healing journey imparts healing energy. One person turned toward the difficult task of reconciliation and healing sends waves of energy of reconciliation and healing. One person seeking a new positive life sends vibrations of new positive life. One person thinking loving thoughts sends into the world those thoughts of love. The love vibration is one of the most powerful. Think love, peace, happiness. Be love, peace, happiness. Change your world with one loving, peaceful, healing, happy thought at a time. Be mindful of your attitude, because your attitude DOES effect others. Attune your vibration to the positive and send enhanced positive vibrations throughout your world. Begin as one, become the many. Be the change you desire, one vibration at a time. It’s that simple. It begins with you. It really does. Protect yourself from yourself. Keep your energy safe from your own thoughts, fears, worries, and ideas. Notice what you tell yourself first thing when you wake up and how it effects you. Notice what you refuse to consider, what you dare not trust, and what you decide to latch onto as your truths. Perhaps you’re getting something wrong this time. You might even be your own worst enemy. Negative thoughts manifest, just as positive ones do. Are your thoughts too negative? Is your energy suffering because of this? Are those around you suffering because of these thoughts too? A simple switch, a trick of the imagination, a refusal to think in a certain direction may be all you need to free yourself, body, mind, and spirit. Remember, you are energy, pure vibration, and as energy you are fluid, except when thoughts slow down your energy and manifest in solid blockages. Keep your energy fluid in all you think. Manifest an open flow of energy. Imagine yourself as a stream or river, a gentle breeze, a butterfly or bird on the wing, and in this manner keep your energy safe and healthy, alive and flowing, in perfect harmonic vibration, within and without. Go with the flow. You can’t fight the energy that is so pervasive, but you can get in alignment with what is right, and in the flow of all things use your energy for that which is good, right, and progressive, intentionally taking things in a new direction. Destruction of the old is part of the process of change. Let old things go, but build anew in a new way that is energetically right for all beings. Take into consideration that change is the eternal natural law that effects everything, that all things change, even you. Without your permission you are changing all the time, naturally. Get in sync with that and be at peace with what is, even drastic change, within and without, and naturally go with the flow. 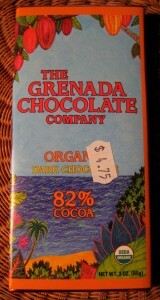 For the past several months I have enjoyed a major infatuation with a delicious variety of chocolate from The Grenada Chocolate Company. It’s simply the best chocolate I’ve ever eaten. It’s organic and it’s affordable! This past week, I discovered its true energetic origin and now know why it has resonated so deeply with me, for its creator was a man of integrity, energetically aligned with what’s right, with the same spirit of intent that I fully embrace in my own life and work. 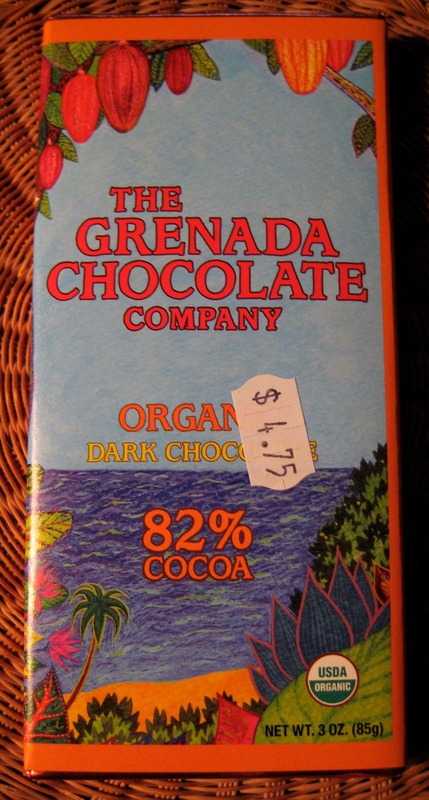 Unfortunately, I am sad to say, Jan sent me the obituary for Mott Green the other day, founder of the Grenada Chocolate Company, who recently died a tragic death at the age of 47. This man lived and actualized the values of our world to come, a master stalker of needed change. I encourage all to open to his journey—it’s an inspiration. So ends the obituary. As I pondered Mr. Green’s death, I found myself caught in a moment of crisis of meaning, a glitch, which granted me access to a deeper truth: We are all beings who are going to die. Our life’s work, no matter how good and valuable, is but a castle on the sea shore, soon to be washed away by the waves of infinity. The Shamans of Ancient Mexico encourage us to indeed choose a path of heart, and to live it to the fullest, to live it impeccably, but not for a moment to be fooled by the self-importance of permanence. No structures can withstand the impermanence of change. Our structures or casings are vehicles to dip into life and gather experience and lessons, but in the end, the real trick is to learn to ride the ever-changing waves of infinity, and that requires learning how to let go when the gig is up and be ready to catch the next wave. What we carry with us is the experience and love of all life lived, but beyond that we take nothing. And what we leave behind will blend forward into new life, perhaps an even better blend of chocolate, done right, impeccably, with care for all involved, energetically resonant with what’s right. Thanks for your gift Mott! If interested in knowing more about Mott Green, here is a detailed article published in SideDish.